To understand how 3D animation began, we must first know the early cartoons and their oldest representatives. Without them we could not have progressed in 3D animation. Animation is the rapid display of a sequence of images of 2D, 3D or photos of real models (stop motion) to create an illusion of movement. 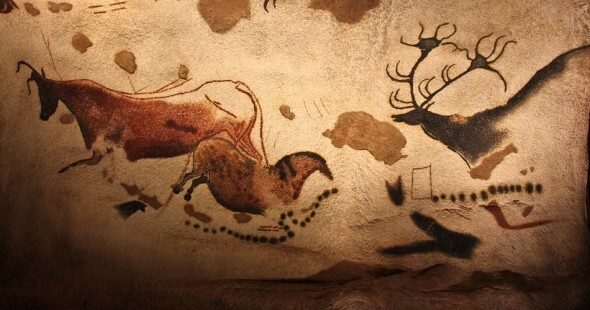 Early examples of attempts to capture the phenomenon of motion in drawing can be found in the Paleolithic, in cave paintings, where animals are depicted with multiple legs, clearly attempting to convey the perception of motion. There are also Egyptian paintings on the walls, filled with drawings of various poses. In one of the most famous examples of Leonardo da Vinci, he shows how the members would be in different positions. Giotto’s angels seem to fly in their repetitive movements and the Japanese scrolls used for continuous storytelling are the forerunners of this art that currently conquered the world. For that animation was possible to be done, was necessary to know a fundamental principle of the human eye: the persistence of vision. This was first demonstrated in 1828 by Frenchman Paul Roget, who invented the thaumatrope – a disk with a rope underneath and on top. One side of the disc showed a bird, and the other the empty cage, when the disk revolved, the bird appeared in cage. This proved that human brain retains the images when the eye is exposed to a series of pictures, one at a time.